South Africa remain in second position, while Australia and New Zealand have swapped positions just below the top two. India continued to sit atop the tree in the MRF Tyres ICC Test Team Rankings following the latest update on Tuesday 1 May, with South Africa at No.2 and Australia at No.3. 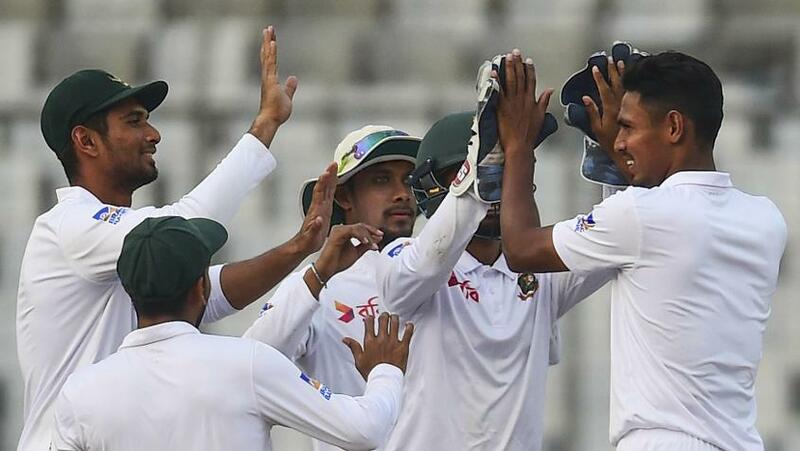 In another major development, Bangladesh have moved above the Windies to No.8, pushing the one-time dominant force in the game to No.9 for the first time. Elsewhere, Australia have gained four points to get to 106, pushing New Zealand down from No.3 to No.4, even though New Zealand earned themselves $200,000 for being in third place at the last cut-off date on 3 April. India and South Africa, meanwhile, got $1 million and $500,000 respectively. For India, who played four Tests in the 2014-15 season – losing 2-0 in Australia – and had earlier lost the five-Test tour of England 3-1 in the summer of 2014, the move up was expected following an excellent run since, highlighted by the 10 wins in 13 Tests in the 2016-17 season. England, who have gained a point, Sri Lanka, who have lost one, and Pakistan, down by two points, fill the positions between New Zealand and Bangladesh, with Zimbabwe propping up the table with two points – up by one – in the latest update. By the time the next annual update comes in, Afghanistan and Ireland will have joined the existing 10 teams to make a it a 12-team table.